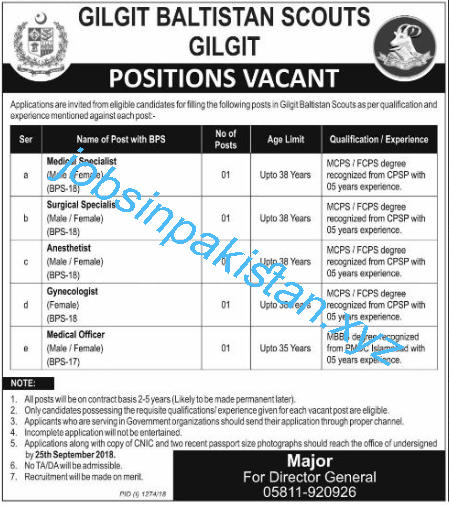 Gilgit Baltistan Scouts Jobs 2018 is listed below. The advertisement for Gilgit Baltistan Scouts Jobs 2018 is come on today newspaper express. The last date for submitting of form for Gilgit Baltistan Jobs 2018 is 25 September 2018. All jobs are contract base 2-5 years (Likely to be made permanent after some time). Gilgit Baltistan Scouts requires a applications for following empty jobs.